PICMET’s “Medal of Excellence” recognizes extraordinary achievements of individuals in any discipline for their outstanding contributions to science, engineering and technology management. The award was instituted in 2004. 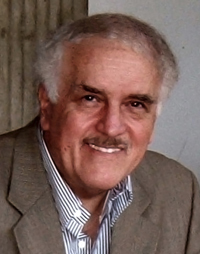 Dr. Atalay’s education in theoretical physics includes training and research at a number of universities – Georgetown, UC-Berkeley, Princeton and Oxford. He has spent the preponderance of his career teaching at the University of Virginia and Mary Washington. Dr. Atalay’s best-selling book, Math and the Mona Lisa (Smithsonian Books, 2004), has appeared in 14 languages. His last book, Leonardo’s Universe (National Geographic Books, 2009), is in two languages, English and Japanese. His upcoming book is entitled Creativity and Genius: Inside the Minds of Leonardo, Shakespeare, Newton, Beethoven, and Einstein. He travels around the world lecturing at academic institutions and on ships of the Crystal Cruise Line. For more details, see his website created at the behest of National Geographic, www.bulentatalay.com. Dr. Sadik Esener is the Wendt Family Endowed Chair at the Biomedical Engineering Department at the School of Medicine of The Oregon Health and Sciences University in Portland, Oregon. He is the Founding Director of the Cancer Early Detection Advanced Research Center at the Knight Cancer Institute. He is also a Professor in abstentia at the Electrical and Computer Sciences and NanoEngineering departments at the University of California, San Diego. Dr. Esener is an internationally known expert in cancer nanotechnologies, photonics and opto-electronics, and he has been closely involved with many startup companies based on technology developed in his laboratories; he holds more than 20 issued patents in these areas. In the recent past he has served as the director of the NanoTumor Center, a Cancer Nanotechnology Center of Excellence funded by NCI, the DARPA-funded multi-university Center for Chips with Heterogeneously Integrated Photonics (CHIPS), the 3D-Opto-Electronic Stacked Processors industry/university consortium; and the Fast Readout Optical Storage (FROST) Industry consortium. He has authored more than 180 journal publications and 250 conference abstracts. Dr. Esener is a member of IEEE, OSA, and SPIE, and cofounded San Diego-based Nanogen, Optical Micro-Machines, Parallel Solutions, Genoptix, Devacell, Cellix, Orimedix, Ziva and Call/Recall Inc’s. Dr. Esener also serves as the co-chair of Sabanci University Board of Trustees. As CEO, Mr. Scott Roth sets the strategic vision for the company. Prior to joining Jama, Mr. Roth served as Executive Vice President & General Manager of the Email Optimization business unit for data solutions provider Return Path, where he led a global team of more than 250 employees spanning product management, engineering, sales, services, channel and marketing. 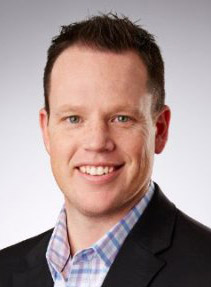 Scott brings more than 15 years of SaaS business-building experience including roles with Salesforce.com, ExactTarget and Webtrends. At ExactTarget, Scott helped the organization achieve more than 50 percent annual growth, expand into Europe, Asia and Latin America and complete a successful IPO on the New York Stock Exchange prior to its $2.5B acquisition by Salesforce.com. Dr. Karl Hampton Vesper is an emeritus from the University of Washington, where he held full professorships in: (1) Management, where he started the entrepreneurship course in 1970, (2) Mechanical Engineering, where he taught machine design, and (3) Marine Studies, where he taught ocean systems design. His most recent formal academic appointment was in 2011 as Visiting Regents Chairholder in Entrepreneurship at Texas Tech University. Characterized in 1979 by Business Week as the “generally recognized dean of entrepreneurial studies,” he subsequently became first holder of the Roger Babson Professorship in Entrepreneurship at Babson College and of the Carma Professorship in Entrepreneurship at the University of Calgary, as well as second holder of the Schoen Professorship in Entrepreneurship at Baylor University and a Fulbright Distinguished Scholar at Trinity College, Dublin. Subsequently in 2001-2002, he was appointed as Visiting Professor in Bioengineering in the Jacobs School of Engineering at the University of California, San Diego, and later a Visiting Professor in Entrepreneurship at the University of Hawaii, Hilo. His academic interest in entrepreneurship began shortly after completing an Air Force officer tour as Flight Test Engineer at Edwards AFB, California, in 1957. He also worked industrially as Assistant to the President of a high-performance electromotive products company, and as business manager of an oceanographic consulting and instrument manufacturing company where he helped raise venture capital. He holds BS, MS, and PhD degrees in Engineering from Stanford and an MBA from Harvard. His hobbies include motorcycles, snowboarding, surfing, and learning from his grandchildren. Dr. Jay Lee is Ohio Eminent Scholar, L.W. Scott Alter Chair Professor, and Distinguished University Professor at the University of Cincinnati, and he is the Founding Director of the National Science Foundation (NSF) Industry/ University Cooperative Research Center (I/UCRC) on Intelligent Maintenance Systems (IMS www.imscenter. net), which is a multi-campus NSF Industry/University Cooperative Research Center which consists of the University of Cincinnati (lead institution), the University of Michigan, Missouri University of S&T, and University of Texas-Austin. The Center has developed partnerships with over 85 companies from 15 countries since its inception in 2001. In addition, he has mentored his students and developed a spin-off company, Predictronics, with support from the NSF Innovation ICorps Award in 2012. He also served as an invited committee member for White House Cyber Physical Systems (CPS) Advisory Group in 2013. His current research focuses on Industrial Big Data Analytics, Cyber-Physical Systems, as well as Prognostics and Health Management (PHM). 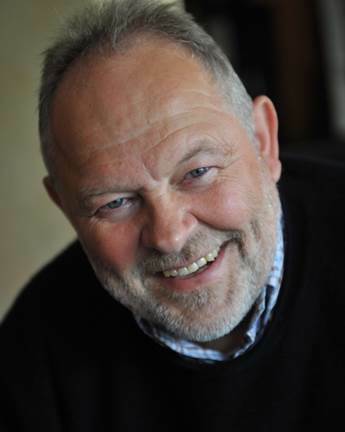 He led the IMS Team and developed the well-known Watchdog Agent® (a systematic platform for data analytics toolbox used by over 80 global companies) as well as the Dominant InnovationTM (a methodology for product and service innovation design that has been used by many Fortune 500 companies). Currently, Dr. Lee also serves as advisor to a number of global organizations: he is a member of the Manufacturing Executive Leadership Council; member of International S&T Committee of Alstom Transport, France; Scientific Advisory Board of Flanders’ MECHATRONICS Technology Centre (FMTC) in Leuven, Belgium; Scientific Advisor Board of SIMTech, Singapore; and member of the Advisory Committee of MIRDC Taiwan. In addition, he serves as editor and associate editor for a number of journals including IEEE Transactions on Industrial Informatics and International Journal on Prognostics & Health Management (IJPHM). In addition, he is also a De Tao Master in Innovation (http://www.detaoma.com/Jay_Lee/). Previously, he served as Director for Product Development and Manufacturing at United Technologies Research Center (UTRC), E. Hartford, CT, as well as program director for a number of programs at NSF during 1991-1998, including the Engineering Research Centers (ERCs) Program, the Industry/University Cooperative Research Centers (I/ UCRCs) Program, and the Materials Processing and Manufacturing Program. He also served as advisor to a number of universities including Cambridge University and Johns Hopkins University. Dr. Lee is a Fellow of ASME, SME, as well as a founding fellow of the International Society of Engineering Asset Management (ISEAM). He is a frequently invited speaker and has delivered over 200 invited keynote speeches at major international conferences and has over 20 patents and two trademarks. He received a number of awards, including the most recent NSF Alex Schwarzkopf Technological Innovation Prize in Jan. 2014, MFPT (Machinery Failure Prevention Technology Society) Jack Frarey Award in 2014, and the Prognostics Innovation Award from National Instruments in 2012. He mentored his students to participate in PHM Data Challenge Competition and won the 1st prize five times since 2008. He is also an honorary advisor to Heifer International, a charity organization working to end hunger and poverty around the world by providing livestock and training to struggling communities. Dr. Steven Eppinger is Professor of Management Science and Innovation at the Massachusetts Institute of Technology Sloan School of Management. He holds the General Motors Leaders for Global Operations Chair and a joint appointment in MIT’s Engineering Systems Division. Professor Eppinger teaches interdisciplinary courses at both the master’s and executive levels in product design and innovation, engineering project management, and digital product management. He has coauthored a leading textbook entitled Product Design and Development (McGraw-Hill). Currently in its sixth edition, the text has been translated into several languages and is used by hundreds of universities and more than a quarter million students. Dr. Eppinger’s research is applied to improving complex technical projects in a wide range of industries and is the basis of the book titled Design Structure Matrix Methods and Applications (MIT Press). Professor Eppinger is the Co-Director of MIT’s System Design and Management Program. He served as Deputy Dean of the MIT Sloan School of Management for five years. He received S.B., S.M., and Sc.D. degrees from MIT’s Department of Mechanical Engineering. Dr. Alan L. Porter is Professor Emeritus of Industrial & Systems Engineering, and of Public Policy, at Georgia Tech, where he is Co-director of the Technology Policy and Assessment Center. He is also Director of R&D for Search Technology, Inc., Norcross, Georgia (producers of VantagePoint and Thomson Data Analyzer software). He is author or co-author of some 230 articles and books, including Tech Mining (Wiley, 2005) and Forecasting and Management of Technology (Wiley, 2011). Current research emphasizes “forecasting innovation pathways” for newly emerging technologies. This entails text mining of science, technology & innovation information resources to generate Competitive Technical Intelligence. Dr. Porter received a B.S. in Chemical Engineering from Caltech (1967) and a Ph.D. in Engineering Psychology from UCLA (1972). He served on the University of Washington faculty through 1974, joining Georgia Tech in 1975. Dr. Eliezer Geisler is a distinguished professor in the Stuart School of Business at the Illinois Institute of Technology. He holds a doctorate in organizational behavior from the Kellogg School at Northwestern University (1979). Dr. Geisler is the author and co-author of over 100 papers in the areas of the management, evaluation and metrics of R&D, innovation, science & technology, knowledge management and the management of medical technology. He is the author and co-author of 14 books, including: Managing the Aftermath of Radical Corporate Change (1997); The Metrics of Science and Technology (2000), also translated into Chinese; Creating Value with Science and Technology (2001); Installing and Managing Workable Knowledge Management Systems (2003, with Albert Rubenstein), Knowledge and Knowledge Systems: Learning from the Marvels of the Mind (2007), and Change in Organizations (2013). He was the founder and editor of the Department of Information Technology for the IEEE Transactions on Engineering Management and is the co-founder and associate editor of the International Journal of Healthcare Technology and Management. He co-founded the international Health Care Technology Management Association and the series of conferences on the Hospital of the Future. Since 2001 these conferences were held in the Netherlands, U.S.A., United Kingdom, Denmark, Austria, and Italy. At the Illinois Institute of Technology, in 2003-2012, he founded and directed the IIT research Center for the Management of Medical Technology. Dr. Geisler consulted for major corporations and for many government departments and agencies. He served on over a dozen editorial boards for major journals in the fields of technology management and organizational behavior. He was chair of the College of Innovation Management and Entrepreneurship (COLIME) of the Institute of Management Sciences (INFORMS). Dr. Geisler has served on the board of directors of Mount Sinai Medical Center in Chicago, Illinois. His research was funded by, among many others, NASA, NSF, and IBM. 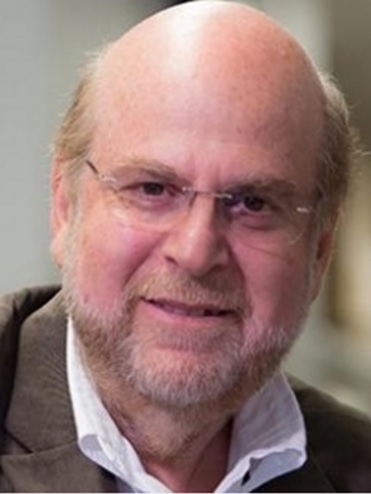 His current research, teaching, and consulting activities focus on the organization and commercialization of technology, and on the nature, progress and diffusion of human and organizational knowledge, and the management of knowledge systems. Prof. Dr. rer. oec. habil. Hans Georg Gemuenden is a full tenured Professor at the Berlin University of Technology (TU Berlin). He has the Chair for Technology and Innovation Management. He received his “Diplomkaufmann” (equivalent to an MBA) and his Dr. rer. oec. at the University of Saarbrucken, and his habilitation degree at the University of Kiel. He was chairman of the TIM Division of the Association of University Professors of Management from 2000-2002. He was representative-at-large of the TIM Division of the Academy of Management from 2009 until 2011 and responsible for the best dissertation award in 2011. In January 2013 he became the editor of the Project Management Journal. He was a member of several supervisory boards (Thyssen- Krupp Technologies AG, Hauck & Aufhauser, InnoZ). He hosted several international conferences: the IMP conference in Karlsruhe (1996), the G-Forum in Berlin (2006), and the IRNOP (2009) in Berlin. He has published in Organization Science, Research Policy, Journal of Product Innovation Management, Creativity and Innovation Management, International Journal of Research in Marketing, Journal of Business Research, Management International Review, IEEE Transactions on Engineering Management, R&D Management, International Journal of Project Management, and Project Management Journal. Alejandro Cruz is Minister of Science and Technology, Costa Rica. Alejandro Cruz was appointed Minister of Science and Technology of Costa Rica on February 15, 2011. Previously, he was involved in various positions with the Costa Rica Institute of Technology, a public university that started in 1973. He served as a President of the University from 1995 to 2003. During his term in the Costa Rica Institute of Technology, the University acquired a strategic position in the development of Costa Rica by introducing new technology programs and building strong ties with the attraction of foreign direct investment and the support of small and medium enterprises. Mr. Cruz has also been associated with the National Rectors Council (CONARE) and the National Center of High Technology (CENAT), both supported by the State Universities. Another important academic challenge for Mr. Cruz, was the creation and initial operation of the Central American Council for Accreditation of Higher Education (CCA), where he served as Founder and Vice President. In the area of planning and developing a country vision for Costa Rica, Mr. Cruz was coordinator for the initiative called “Estrategia SIglo XXI,” which is a long-term strategy based on science, technology and innovation. This effort was supported by numerous professionals from academia, industry and government. Mr. Cruz worked for the Latin American Energy Organization (OLADE) from 1983 to 1987. He has also served as both advisor and consultant for various government agencies, academic institutions and private companies. Since his retirement in 2009, Mr. Cruz was dedicated to his family farm and business until President Laura Chinchilla designated him Minister of Science and Technology. Mr. Cruz has a degree in Chemical Engineering from the University of Costa Rica and a Master of Science from the State University of New York (SUNY) and Syracuse University. He is married to Isabel Guzmán and they have four children. Prof. Dr. Nuket Yetis is President of the Scientific and Technological Research Council of Turkey (TÜBITAK) since August 2008; she was Acting President from 2004-2008. Her initiation of a thorough restructuring translated into an over 33-fold increase in financial support provided to universities as well as private and public research institutes within the Turkish Research Area in 2006 compared to 2003, while the number of TÜBITAK employees increased only 6 percent. The overall support increased more than five-fold while the granted fellowships and scholarships displayed an even sharper increase. Among other tangible results were doubled revenues for TÜBITAK’s own research institutes through their products and services. Prof. Dr. Yetis was director of the Turkish Institute for Industrial Management from 2000-2003. During her tenure there, she led management reform and restructuring projects for more than 75 organizations, the number of employees increased 40 percent, and operational revenues increased 20-fold. The Institute logged a 110 percent financial self sufficiency in 2002. She was Dean of Marmara University’s Faculty of Engineering (MUFE) from 1994-2000. She led Continuous Quality Improvement activities at MUFE, making it the first Turkish public organization to become a finalist for the European Quality Award in 2000. MUFE was the first applicant and finalist for the European Quality Award in higher education. Prof. Dr. Yetis was Associate Dean of Marmara University’s Faculty of Engineering from 1990-1994. She has been among the leading founders of the Faculty of Engineering, and she established master’s and doctoral programs in Engineering Management. She was Assistant Professor in the Department of Business Administration, Marmara University Faculty of Economics and Administrative Sciences, from 1985-1989; and she was an instructor in the Department of Industrial Engineering at Istanbul Technical University from 1982-1985. Prof. Dr. Yetis received the Ph. D. in Industrial Engineering from Istanbul Technical University, and an MBA in Operations Management and B.S. in Chemical Engineering from Bosphorus University. A successful technocrat of global standing, Kiran Mazumdar-Shaw heads India’s leading biotechnology enterprise, Biocon. She is highly respected in the corporate world and has recently made it to the 2010 Time 100 list of The World’s Most Influential People. Her pioneering efforts in biotechnology have drawn global recognition both for Indian industry and Biocon. After completing her Bachelor of Science degree in Zoology from Bangalore University in 1973, she went to Ballarat Institute of Advanced Education (now University of Ballarat), Australia, to study brewing and qualified as a master brewer in 1974. Kiran Mazumdar Shaw started her professional career as trainee brewer in Carlton & United Beverages in 1974. In 1978, she joined as a Trainee Manager with Biocon Biochemicals Limited in Ireland. Collaborating with the same Irish firm, she founded Biocon India in 1978. Ms. Shaw chairs Karnataka's Vision Group on Biotechnology and also served on the Board of Science Foundation, Ireland. She presently serves on the Advisory Council of the Government’s Department of Biotechnology, where she has been instrumental in bringing government, industry and academia together to chart a clear and progressive growth path for biotechnology in India. She is also part of the Prime Minister’s Council on Trade and Industry in India and the US-India CEO Forum. Ms. Shaw also serves as Member, Governing Body and General Body, of the Indian Pharmacopoeia Commission, an autonomous body of the Government of India. She is also a founder member of the society for the formation of "Institute for Stem Cell Biology and Regenerative Medicine." Ms. Shaw has most recently been nominated as Member of the Board of Trade, Directorate General of Foreign Trade, Ministry of Commerce and Industry. Ms. Shaw is the recipient of several prestigious awards including the Nikkei Asia Prize 2009, for Regional Growth; Express Pharmaceutical Leadership Summit Award 2009 for Dynamic Entrepreneur; the Economic Times "Businesswoman of the Year"; the Veuve Clicquot Initiative for Economic Development for Asia; Ernst and Young's Entrepreneur of the Year Award for Life Sciences and Healthcare; “Technology Pioneer" recognition by the World Economic Forum; and the Indian Chamber of Commerce Lifetime Achievement Award. Her most cherished awards are the national awards, PADMASHRI (1989) and PADMA BHUSHAN (2005), presented to her by the President of India, for her pioneering efforts in industrial biotechnology. Dr. Frederick Betz recently retired from the Graduate School of Management and Technology at the University of Maryland University College. Previously, he was a program officer in engineering at the National Science Foundation. He received his Ph.D. in physics from the University of California at Berkeley, after which he changed fields to management science and taught in business schools. His research has been in management science and in the management of engineering and technology. His recent books include Managing Technology, Strategic Technology Management, Managing Technological Innovation, and Executive Strategy: Strategic Management and Information Technology. Dr. Fariborz Maseeh is a worldwide expert in micro-electro-mechanical systems (MEMS). After earning a doctorate in engineering from MIT, Maseeh founded IntelliSense in 1991. It was the first company of its kind for the custom design, development and manufacturing of next generation MEMS devices – tiny, computer-controlled chips used in products ranging from cardiac pacemakers to aircraft landing gear. Under Maseeh’s leadership, IntelliSense became the world's fastest-growing MEMS corporation, twice named to both The New England Technology Fast 50 and The Forbes Fast 50. Maseeh has published numerous scientific articles on topics such as business strategy, fabrication technologies and design and software for MEMS, in addition to securing a number of patents and trademarks. He currently serves on the boards of several technology firms, engineering schools—including the University of California at Irvine (UCI) and the University of Southern California—and non-profit organizations such as the Boys & Girls Club of Boston and the Children's Hospital of Orange County Foundation for Children. Maseeh considers himself a “venture philanthropist,” applying business concepts to his philanthropy. He considers his gifts as investments and looks for causes with clear objectives and broad markets. Maseeh serves as a UCI Foundation trustee and sits on engineering advisory boards at UCI’s Henry Samueli School of Engineering, the University of Southern California, and Portland State University (PSU). He has endowed several chairs in engineering disciplines at MIT and PSU. He is chairman of the Children’s Hospital of Orange County Foundation and serves on a number of community boards, including the Boys and Girls Club of Boston. As the recipient of the prestigious 2006 Ellis Island Medal of Honor for his outstanding contributions to America, he joins a remarkable group of awardees, including six Presidents, several Senators and Congressman and Nobel Prize Winners. Dr. Veziroglu graduated from the City and Guilds College, the Imperial College of Science and Technology, University of London, with degrees in Mechanical Engineering (A.C.G.I., B.Sc. ), Advanced Studies in Engineering (D.I.C.) and Heat Transfer (Ph.D.). After serving in some Turkish government agencies as a Technical Consultant and Deputy Director of Steel Silos, and then heading a private company, he joined the University of Miami Engineering Faculty, and served as the Director of Graduate Studies, Chairman of the Department of Mechanical Engineering, Associate Dean for Research and Director of the Clean Energy Research Institute. Since May 2004 he is on leave from the University of Miami, and is establishing UNIDO-ICHET (United Nations Industrial Development Organization – International Center for Hydrogen Energy Technologies) in Istanbul, Turkey as its director. He has published some 350 scientific reports and papers, edited 200 volumes of proceedings, and is the Editor in Chief of the monthly scientific journal; International Journal of Hydrogen Energy. He has been an invited lecturer and/or consultant on energy research and education to many countries and to several universities and research organizations in the United States. Dr. Veziroglu has organized several conferences and symposia on Alternative Energy Sources, Environment, Hydrogen Energy, Heat and Mass Transfer, and Remote Sensing, including the first major conference on Hydrogen Energy. He is a member of some twenty scientific organizations, and is a Fellow of the British Institution of Mechanical Engineers, the American Society of Mechanical Engineers and the American Association for the Advancement of Science. He is also the Founding President of the International Association for Hydrogen Energy. Dr. Veziroglu has been the recipient of several international awards, including Turkish Presidential Science Award, 1975, Honorary Professorship, Xian Jiaotong University, Xian, China, 1981, I. V. Kurchatov Medal, Kurchatov Institute of Atomic Energy, Moscow, U.S.S.R, 1982, Energy for Mankind Award, 1986, Twenty-Five Years' Service Award, American Nuclear Society, 1987, Turkish Superior Service to Mankind Award, 1991, Honorary Doctorate, Anadolu University, Eskisehir, Turkey, 1998, Honorary Member, Argentinean Academy of Sciences, 2000, and Honorary Doctorate, Donetsk State Technical University, Donetsk, Ukraine, 2001. In 2000, he was nominated for the Nobel Prize in Economics for both envisioning the Hydrogen Economy, and striving towards its realization. Bob Colwell was Intel’s chief IA32 microprocessor architect from 1992-2000, and managed the IA32 Arch group in Intel’s Hillsboro, Oregon facility through the P6 and Pentium 4 projects. 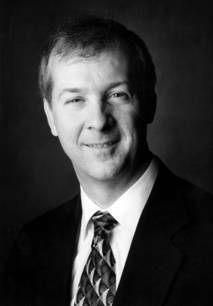 He was named the Eckert- Mauchly award winner for 2005, the highest honor in the	field of computer architecture, for “outstanding achievements in the design and implementation of industry-changing microarchitectures, and for significant contributions to the RISC/CISC architecture debate.” He was named an Intel Fellow in 1996. Previously, Colwell was a CPU architect at VLIW pioneer Multiflow Computer, a hardware design engineer at workstation vendor Perq Systems, and a member of technical staff at Bell Labs. He has published many technical papers and journal articles, is inventor or co-inventor on 40+ patents, and has participated in numerous panel sessions and invited talks. He is the Perspectives editor for IEEE Computer Magazine, and writes the At Random column. He is currently an independent consultant. Colwell holds the BSEE degree from the University of Pittsburgh, and the MSEE and PhD from Carnegie Mellon University. Daeje Chin is the Minister of Information and Communications in Korea. He received his B.S. and M.S. degrees in Electrical Engineering from Seoul National University, in 1970 and 1974, respectively. He continued his studies with another M.S. in Electrical Engineering from MIT in 1979, and a Ph.D. in Electrical Engineering from Stanford University in 1983. After working as a Research Fellow at the H-P IC Lab and the IBM Watson Institute for several years, he joined Samsung Electronics as a Chief Research Fellow in 1985, and held progressively higher positions including Director of Research, Executive Director, Chief Executive Director, Vice President, Chief Technology Officer, Representative Director, and President of various divisions until 2003. He was appointed to his current position as the Minister of Information and Communications in year 2003. Kiyoshi Niwa is a Professor in the Department of General Systems Studies at the University of Tokyo. Before joining the university, he was with the Advanced Research Laboratory (1985 to 1994) and the Systems Development Laboratory (1972 to 1985), both of Hitachi, Ltd., Japan. Since 1988 he also has been a Senior Research Fellow in the IC2 (Innovation Creativity and Capital) Institute at the University of Texas at Austin, USA. 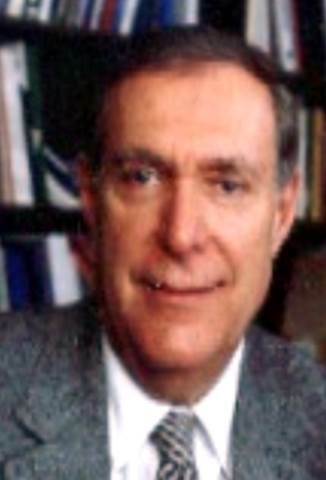 From 1989 to 1991 he was a Visiting Professor of the Engineering Management Program at Portland State University, USA. His research and teaching interests include technology and research management, knowledge management, and organizational intelligence. He has published many papers in journals such as IEEE Transactions on Engineering Management; IEEE Transactions on Systems, Man, and Cybernetics; AI Magazine; Knowledge Engineering Review; and the Journal of the Japan Society for Management Information. He is the author of the book Knowledge-Based Risk Management in Engineering (Wiley Series in Engineering and Technology Management) published by John Wiley in 1989, and is a co-editor of PICMET ’91, ’97, ’99, and ’01. He is also the co-author of the book Technology Management Strategy (in Japanese) published by Seisansei-shuppan in Tokyo in 1999, and translated into Korean in 2001. Dr. Niwa received his BS (1970) and MS (1972) in chemistry (physical chemistry) from Waseda University, Japan. While working as a research scientist at Hitachi, he received his Dr. of Engineering (1986) in systems science (knowledge management) from the Tokyo Institute of Technology, Japan. He serves as the editor of the Journal of the Japan Society for Management Information and on the editorial boards of IEEE Transactions on Engineering Management, Knowledge Engineering Review, and The International Journal of Decision Support Systems. He is the PICMET Director of International Activities. Rosalie A. Zobel was born in England. She received a bachelor's degree in physics from Nottingham University, UK, in 1964, and a PhD in radiation physics from London University in 1967. She started her career in the Information Technology industry in ICL in 1967, and later held positions as a systems engineer in CERN (Centre Européen pour la Recherche Nucléaire), Geneva, Switzerland, the Atomic Energy Research Establishment, Harwell, UK, and the Max-Planck Institut für Plasmaphysik, Garching, Germany. At the latter she became operations manager of the first CRAY Supercomputer centre in continental Europe. In 1981 she moved to the USA and took up a position in the AT&T Headquarters, Basking Ridge, USA. She held positions as senior marketing manager for open systems software both for the USA and international markets, and was responsible from 1983-1986 for the international UNIX business. In 1986 she became senior marketing manager for information technology products in AT&T Japan. She returned to Europe in 1988 as Deputy Head of Unit of the European Community's ESPRIT Business Systems unit. In 1991 she launched the initiative in Open Microprocessor systems (OMI). From 1995 she was the Head of unit "Business systems, multimedia and microprocessor applications", and EU-coordinator of the G7 Pilot Project "Global Marketplace for SMEs". From 1999-2002 she was Director of “New Methods of Work and Electronic Commerce”. From 2003 she is Director of "Components and Systems" in the Information Society and Media Directorate-General of the European Commission.